Hello and welcome to another edition of One Liner Friday’s. Here you will find the past week in sports wrapped up in one line and one line only. Enjoy!! 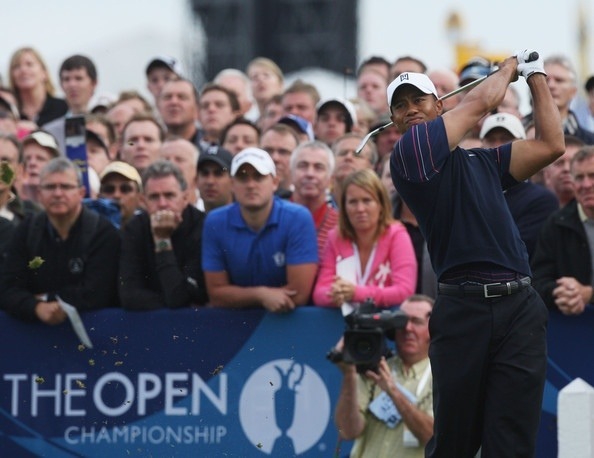 Mark my words: Everyone at the Open Championship needs to watch out for Tiger Woods. I know I know, that’s a really hard prediction to make, but I’m making it because he has found a nice rhythm and he’s got the putter working (he doesn’t lose when he putts well). The MLB All-Star Game is the only one of the major sports that I look forward to not watching. It can’t be an exhibition and mean something at the SAME TIME!! The HomeRun Derby is still cool though. Watching human beings (albeit human beings on massive amounts of growth hormones) hit baseballs 500 feet never gets old. Yoenis Cespedes is a beast!! Umm excuse me Mr. usher, can you help me find my seat? Whatever happened to the regular old black tux? So little Johnny Manziel is getting drunk, getting arrested, and is in the process of ruining his future, it sounds like he’ll fit right in in the NFL. But, whatever you do John, just remember that NOBODY CARES!! A-Rod says he’ll be back on the Yankees on Monday, I want to believe him, I just don’t. Oh you want a $25 million dollar contract? But you don’t have any major injuries? Oh no I’m sorry I can’t give you a contract unless at least one of your body parts is falling apart. What’s that, you do have knees that are deteriorating, by all means then J.R. Smith, please sign right here. Jaws must have been smoking that good stuff when he made is QB list because there is no way in hell that Matt Ryan is better than Drew Brees. 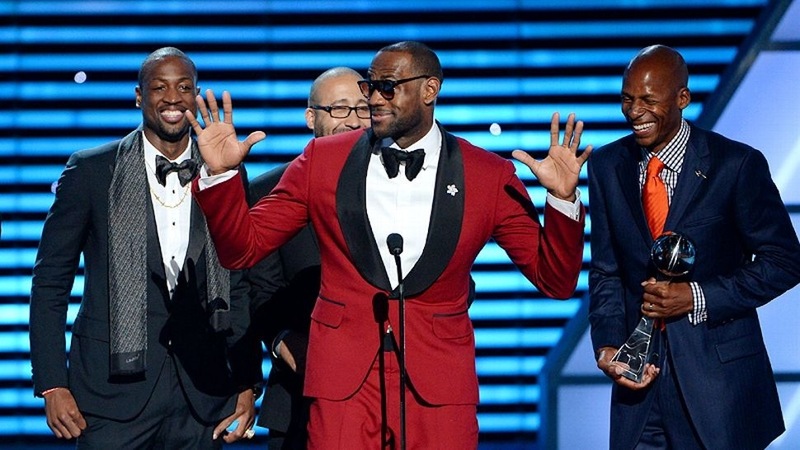 Lebron, Kobe, and Melo are not going to wind up on the same team. That’s crazy, that would be like Iron Man, Thor, and The Hulk all teaming up to……..ahhh or maybe it could happen. Does Kevin Garnett know that he’s going to have to coach the Nets while Jason Kidd is in jail?? I’d like to end on a serious note. This year is the 20th anniversary of Jimmy V’s famous “Don’t give up, don’t ever give up” speech. I’d just like to say that we should never take anything, anyone, or any day we have for granted because you never know when it’ll all be gone. Cherish your lives every day, and appreciate the life that you have. Thanks for reading and enjoy your weekend everybody!! So you’re saying you look forward to watching the Pro Bowl? I don’t believe it! Good stuff as always, Dave. Nice job as usual! I think you madea good point about the All-Star game. Why should the home field advantage during the World Series be determined by the outcome of an “exhibition” game?! Thanks for the fun and laughter with your comments about these idiotic “athletes” who think the world owes them something but the sad truth is, the management gives them anything they want like spoiled children having a temper tantrum, perpetuating the insanity! Touching words re: Jimmy V.
Thanks and as always, keep up the good work. P.S. I met a former major league baseball player yesterday who had his dreams dashed due to rotator cuff surgery. Because of how he was treated he said he can’t watch the game and doesn’t even like talking about baseball! Sad.